The peace and serenity of Nature can be experienced by everyone. Nature’s Access Field Trips-Discover the vast biodiversity of the Michigan woods and fields. Nature’s Access Survival Class-This class is for beginners and is an introduction to survival. It is not overly physical and for ages 10 up. Nature’s Access has affiliated with Statgear. 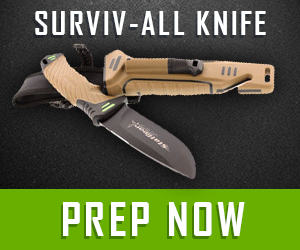 Amazing survival knives and tools that you need to have in your pack. Check it out here! 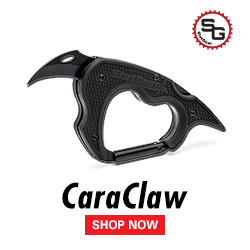 Visit Statgear for awesome Survival tools and knives. Nature’s Access has affiliated with My Patriot Supply!!! Here are just a few of the Survival items available. Click this link for all of the products we have available to keep you and your family safe and sound in any emergency. The above products just brush the surface. 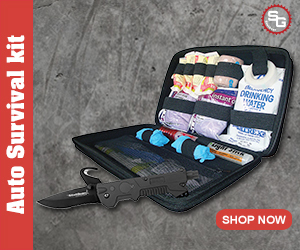 Click here for a full line of Survival products. I’ve searched for a lot of companies that could supply my readers high quality wild organic herbs at fair prices. StarWest Botanicals provides just that. That’s why we have affiliated with them. They have many organic and non organic wild and domestic herbs. Everywhere from Mint to Plantain, StarWest can take care of your herbal needs. Click the links to visit their site and order some of the finest herbs on the market. CampingMaxx has great camping and survival equipment at great prices. A combination of quality and affordability. That’s why Nature’s Access has affiliated with them. Check them out by clicking on the links below. Click for awesome back packs. This Emergency Tube Tent is only 8 bucks! A must for every survival pack. Go to the Scout page. Click here to get one. You know how important it is to have a home inspected for possible defects. Buyers have a piece of mind knowing they are buying a quality product. Sellers who know ahead of time can make needed repairs to make sure they get the most out of their investment. The same can be said about the property. Give your buyers and sellers the opportunity to know what is on the property they are buying or selling. There are numerous wild plants that are very dangerous. Especially for children and small pets. Poison Ivy, Poison Oak, Poison Sumac, Hogweed, Wild Parsnip, and Angelica can cause extreme dermatological outbreaks or photodermatitis burns. Pokeweed, Nightshade, and Lily-of-the-valley can cause extreme illness and have led to death. Poison Hemlock is deadly poisonous where death is not only possible but inevitable. I have discovered many of these plants on the edges of lawns, ditches, around trees and gardens. Both in the rural and urban settings. I have also found many useful, edible and medicinal plants as well. Give your office a selling edge by offering to your buyers or sellers a property inspection. Each property inspection will include photos/common names/scientific names of dangerous plants found as well as a location description. The dangers will be explained as well as recommended actions. All reports will be sent via email. Clients can add a useful plant report outlining edible, medicinal, and otherwise useful plants. Each report will include photos/common names/scientific names and their uses. Some clients may wish to have the plants pointed out to them in person. That would be no problem. They are welcome to accompany me during the inspection or I can return for a very reasonable fee. Fees are based on distance and property size and can be paid by the seller/buyer/broker. City sized lot of approx. up to 1/4 acre is $75.00. Useful Plant Inspection on its own is $75.00 up to 1/4 acre. $20/hr travel time from 4246 Sawkaw Dr Grand Rapids Mi 49525 based off fastest route on Google Maps. Return travel is not charged. Every effort will be made to be as complete as possible. Due to the nature of wild plants, it is possible to miss plants that were hidden or yet sprouted. Client can send photos of plants, via email, they find on their property for a free identification and report for one year. There is no guarantee suggested or implied that every species will be found at time of inspection, return trip or anytime. Property inspections begin May 1st and run through Sept 30th. Attention Home Owners!!!! You don’t have to be selling to get one of these reports. If you are interested in what is on your property, contact us at the above email. This class is for beginners and is an introduction to survival. It is not overly physical and for ages 10 up. Class covers fire starting, shelters, wild edibles, water collection, first aid, orientation, and risk assessment. Contact below for prices. Shop for Nature’s Access Calendars to help people who can’t afford our classes or events. We don’t want to leave anyone out…and won’t. The purchase of Nature’s Access products allows that to happen. Nature’s Access Field Trips-Discover the amazing Biodiversity of Michigan’s woods and fields. Contact below for pricing. It will be worth your time!! OK-This isn’t exactly a Nature’s Access product, but that’s OK. It is someone in the family. With today’s high tech world exposing your children to good old fashioned books is a good thing. Check them out here and order a couple for your kids or grand kids. Brittany Yenior-Usborne Books & More. Check out this book from my good friend Goran Purkovic! Today’s Fitness Made Simple. Goran is in amazing condition so if you follow his suggestions, you will be taking a step forward. Enjoy! Coming Soon!! Wild Edibles Powders. For optimal health! Coming Soon!! Exclusive “Nature’s Access” Spice Mixes! There is a little nature in every mix! High quality Natural herbs and spices plus Wild sustainable ingredients in every bottle. Safety sealed for your protection, delicious flavors for your enjoyment. Coming Soon!! Natural Tea Blends as well as Dandelion Root and Chicory Root Coffees are also under development.